Travellers have been coming to Mountain View House in New Hampshire’s White Mountains to marvel in the spectacular views of the Presidential Mountain Range since the 1860’s. The guest register is replete with the names of America’s leading business men, celebrities and presidents. 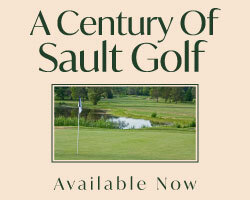 What began as a modest country inn in a converted farmhouse in 1866 grew in size and scope quickly and at the turn of the century a nine-hole golf course was added and the expansion to an extensive grand hotel resort property was well underway. Today the Mountain View Grand boasts 146 rooms, English gardens, tennis courts, a full service spa, fitness center, indoor and outdoor pools, working farm, movie theater, fine dining, conference facilities and more. The resort is also home to the MVG-Academy offering a hospitality management program designed to train the next generation of hospitality professionals. Designed by Harvard Math Professor Ralph Barton and opened for play in 1900, the Mountain View Grand Golf course offers 360 degree views of the surrounding mountain ranges. This pretty nine-hole routing offers two sets of tees on each hole so for those wishing to card an 18-hole score can loop around twice and see each hole from a different perspective. The layout is characterized by tree lined corridors that flow up and down the slopes that are prevalent on the property. Although the fairways are generous, the rough is lush and the wayward drive will visit the dense trees stands that border many of the holes. Bunkering is at a minimum with less than 20 to be found on the entire course with the majority located greenside. The green complexes are on the smaller side and attention must be taken to respect the slopes and tiers which factor into reading the lines. The par 4 opening hole presents you with a spectacular view of the Presidential Mountains’ as a backdrop and slings downhill and left playing 449 yards from the front-nine tee and 415 as the tenth. A rare fairway bunker denoted the outside corner of the dogleg and the fairway flows down to small green that abuts a dense forest right and behind. A solid drive and a pure long iron are demanded of you right out of the gate. The par 4 fourth hole is short but tricky. Uphill from tee to a raised green site that is protected by bunkers front and back and a large overhanging tree short left will be a factor for any shot coming in from the left side. The wayward tee shot left risks visiting the grazing sheep, llamas or alpacas in the resorts paddock while the miss right will come to rest in an uneven lie in deep rough resulting in a blind uphill approach shot over a rise to find the putting surface. Hole number six again presents you with the distraction of the distant Presidential Mountains’ views. It’s a tiny little hole measuring a mere 110 to 126 yards but it is anything but a pushover. Playing downhill to a green site perched precariously into the side of a hill sloping from left to right with bunkers left and right. A steep fall off right and behind will kick the ball a tremendous distance from the green leaving a very difficult up and down. The two options most often employed here are to fly a high ball landing on the front portion of the green in hopes that the ball will come to rest in the centre of the green. Option two is to fire your tee ball left of the target, avoiding the bunker, and have the ball kick off the side of the hill and trickle down to the putting surface. 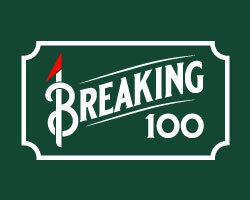 No matter which method you choose, once the putting surface is successfully located, care must be taken with the hard breaking putt that will likely remain. 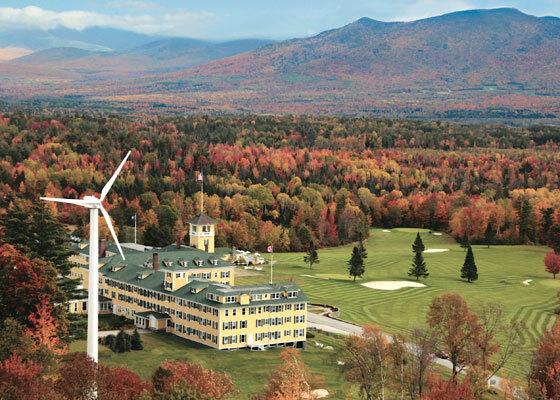 The Mountain View is superbly situated if you are considering a stay & play excursion in the White Mountains. With the Mountain View as home base there are numerous play options just a short jaunt away. The historic Waumbek Golf Club (1895) is a mere 8 miles down road in Jefferson and two Donald Ross designs, The Maplewood and Bethlehem Country Clubs are within 15 minutes of the front door of the resort. 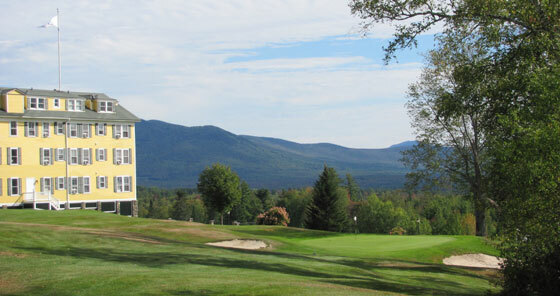 A little farther afield the Mount Washington (Donald Ross-1915) and Mount Pleasant (Alex Findlay -1895) courses are within a 30 minute drive on property at the Omni Mount Washington Resort.